don't get caught: Framing your message with brevity: What leaves us *wanting* more? 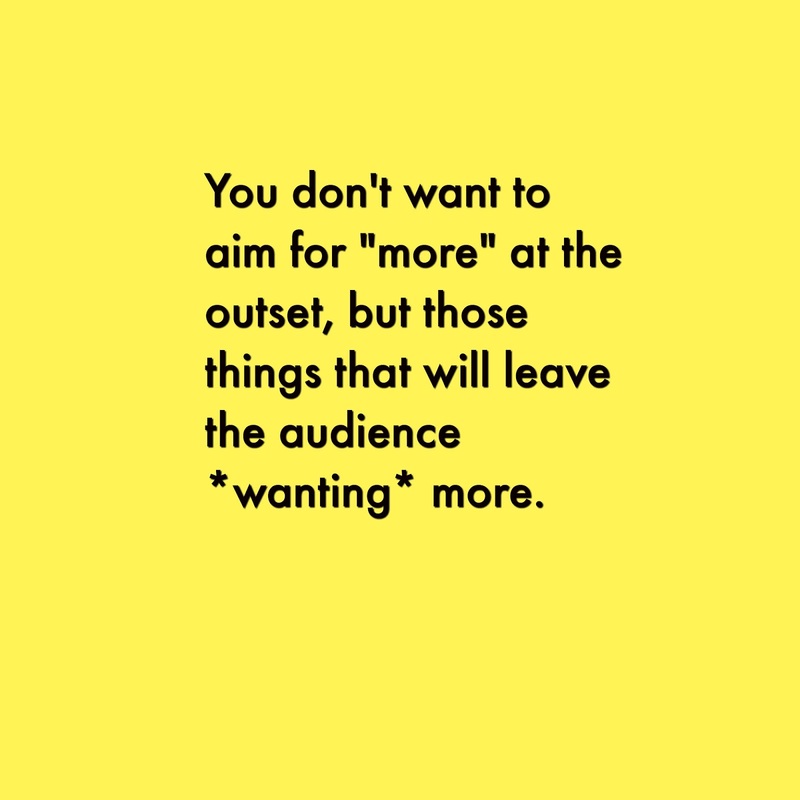 Framing your message with brevity: What leaves us *wanting* more? Forget one PowerPoint slide. Can experts keep their advice to public audiences simple? Can they, for example, fit their most important advice on an index card? The New York Times article How should you manage your money? And keep it short shares a slideshow of several index cards from noted financial planners, all pinging off the ideas in The Index Card: Why Personal Finance Doesn't Have to Be Complicated . Trouble is, many of the cards in the slideshow are complex, with hundreds of words on them. Only a couple are easily readable, short, and simple. In other words, experts have a tendency to do with index cards what they do with slides, cramming as much information as the space will allow, even if that leads to unreadable, small-type full sentences. Ask, as I have, a roomful of subject-matter experts to write down three key points about their work, and you're likely to get three lovely 1,500-word abstracts, unless you specify otherwise (which I do in any workshop I'm leading). "It will serve as a leave-behind," they tell themselves, hoping the audience will make up for their lack of brevity by reading on their own time. To the audience, I often hear technical experts "apologize for the eye chart" before they unveil a particularly dense display of info. Data show that the shorter slide deck is more likely to be read, and read for a longer period of time, when shared as a handout, so the overall size of your slide deck has a real impact on how long an individual slide will be read. Pair that with dense individual slides, and I think you're really pushing the limits of your audience members' patience. I think there may be hope for the index card, but we need to reframe the instructions. 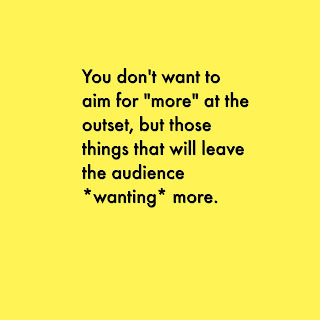 You don't want to aim for "more" at the outset, but those things that will leave the audience wanting more. That advice hails from the days of live-performance variety acts on the vaudeville stage: If you didn't want boos and rotten tomatoes tossed at your head, you kept it brief, on the idea that it's better to be called back for an encore than hissed off the stage. So if you're an expert (or a communications pro working with experts), try putting three things on an index card that you think will leave the audience wanting to know more about what you have to say. And then you'll have something to work with--a more realistic starting point for your message.